Communities thrive when small businesses succeed. Presented every year by American Express, Small Business Saturday follows Thanksgiving on Saturday, November 26. Support your fellow Chamber members on Saturday, November 26 by shopping local. Whether you’re downtown or searching around the many shopping plazas in Sarasota, there are plenty of small businesses to be found. In 2015, 95 million people went out to shop at small businesses on Small Business Saturday. In 2014, an estimated $14.3 billion was spent at small independent businesses on the Small Business Saturday. When you shop local, you shop Chamber. 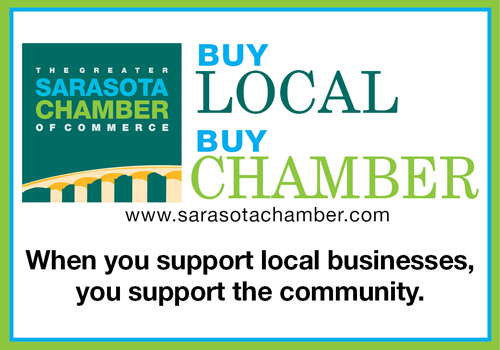 When you shop Chamber, you support the flourishing small businesses that keep our community afloat. We hope you’ll join the celebration of small businesses nationwide for Small Business Saturday on Saturday, November 26.